The Connector is a relational device that parents, caregives and professionals use to help children enhance social learning within their day-to-day activities. The Connector has been shown to work with children having such diagnosable conditions as autism spectrum disorders, pervasive development disorder, attachment disorders, attention deficit disorders and oppositional defiance disorder among others. 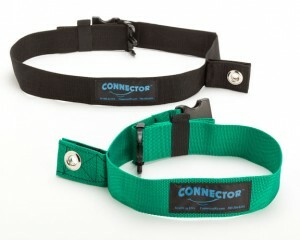 The Connector works by physically connecting the adult to the child through a belt and cord system that allows the child to more easily attenuate to social interaction. 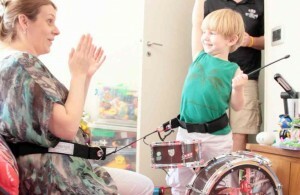 While connected, the child finds it easier to attend to social cues, resonate with caregivers and integrate information, enabling the child to initiate and respond appropriately to environmental and social signals.